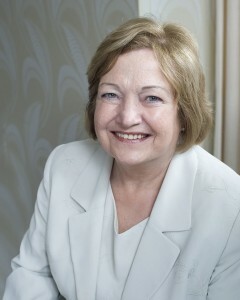 In this column, Mairead Maguire, peace activist from Northern Ireland and Nobel Peace Laureate 1976, argues that in a world that has moved far from the Christic life of non-violence, a clear message and unambiguous proclamation is needed from spiritual or religious leaders that armaments, nuclear weapons, militarism and war must be abolished. BELFAST, Dec 18 2014 (IPS) - I recently visited Assisi, the home of St. Francis and St. Clare, two great spirits whose lives have inspired us and millions of people around the world. St. Francis, a man of peace, and St. Clare, a woman of prayer, whose message of love, compassion, care for humans, animals and the environment comes down through history to speak to us in a very relevant and inspirational way. Today, in the 2lst century, as we the human family face increasing violence, we are challenged to admit that we are on the wrong path, and that we need to find new ways of thinking and doing things from a global perspective. Peace is a beautiful gift to have in life, and it is particularly treasured by those who have known violent conflict, war, famine, disease and poverty. I believe that Peace is a basic human right for every individual and all people. Love for others and respect for their rights and their human dignity, irrespective of who or what they are, no matter what religion – or none – that they choose to follow, will bring about real change and set in motion proper relationships. With such relationships built on equality and trust, we can work together on so many of the threats to our common humanity. Poverty is one such threat and Pope Francis challenges us to take care of the poor, and has declared his desire that the Catholic Church be a church of the poor and for the poor. To meet this challenge, we can each ask ourselves ‘how will what I do today help the poor’?. Pope Francis also has spoken about the need to build fraternity amongst the nations. This is important because building trust amongst people and countries will help bring peace to our interdependent, inter-connected world. Violence begets violence as we witness every day on our television screens, so the choice between violence and non-violence, is up to each one of us. However, if we do not teach non-violence in our education systems and in our religious institutions, how can we make that choice? I believe that all faith traditions and secular societies need to work together and teach the way of non-violence as a way of living, also as a political science and means for bringing about social and political change wherever we live. A grave responsibility lies with the different religious traditions to give spiritual guidance and a clear message, particularly on the questions of economic injustice, ‘armed resistance‘, arms, militarism and war. As a Christian living in a violent ethnic political conflict in Northern Ireland, and caught between the violence of the British army and the Irish Republican Army, I was forced to confront myself with the questions, ‘do you ever kill?’ and ‘is there such a thing as a just war?’. During my spiritual journey I reached the absolute conviction that killing is wrong and that the just war theory is, in the words of the late Fr. John L. McKenzie, “a phony piece of morality”. I became a pacifist because I believe every human life is sacred and we have no right to kill each other. When we deepen our love and compassion for all our brothers and sisters, it is not possible to torture or kill anyone, no matter who they are or what they do. For the first three hundred years after Christ, the early Christian communities lived in total commitment to Jesus’s non-violence. Sadly, for the next 1700 years, Christian mainline churches have not believed, taught or lived Jesus’s simple message: love your enemies, do not kill. During the last 1700 years, Christians have moved so far away from the Christic life of non-violence that we find ourselves in the terrible dilemma of condemning one kind of homicide and violence while paying for, actively participating in or supporting homicidal violence and war on a magnitude far greater than that which we condemn in others. There is indeed a longstanding defeat in our theology. To help us out of this dilemma, we need to hear the full gospel message from our Christian leaders. We need to reject the ‘just war’ theology and develop a theology in keeping with Jesus’ non-violence. Some Christians believe that the ‘just war’ theory can be applied and that they can use violence – that is, ‘armed struggle/armed resistance’ – or can be adopted by governments to justify ongoing war. Well written. Jesus was an excellent teacher and scientific research strongly supports his teachings. Turning the other cheek and taking a blow helps break the chain of escalating violence. Loving your enemy means realize your enemy is a human being and you need to do your best to understand him or her. Even ISIS followers think that they are doing the right thing and that the are following the teachings of God. Obviously, we must do all we can to stop their violence, but more violence isn’t the answer. We need to resist non-violently. We need for governments to fund non-violent action. In fact, journalists are often the non-violent heroes of our modern world. Saying that we love the individuals in ISIS but not what they are doing makes us stronger, not weaker. We can forcefully denounce what they are doing while verbalizing an effort to understand them and negotiate with them. What if a new Peace Ministry of Canada would start training youth to master the art of nonviolence conflict management rather than to train them to march, fight, and obey. The 600 troops we sent to Iraq, this year, would then make a real difference for world peace. Let’s demand this from the feredal candidates in 2015.